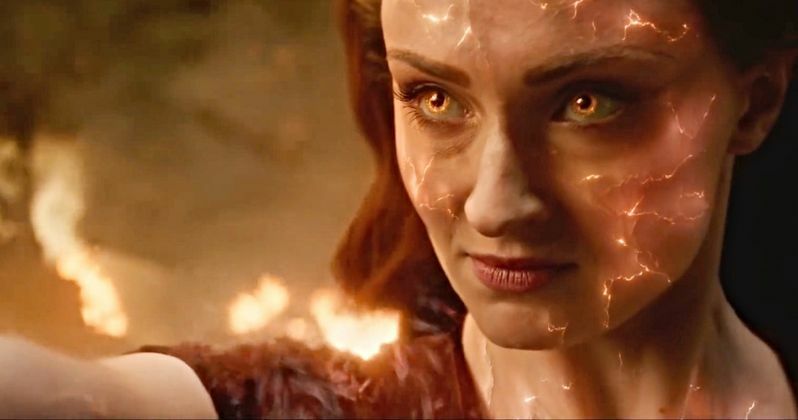 Jean Grey is unstoppable in the third and final trailer for Dark Phoenix. The movie was going to be the start of a new phase of the franchise until the Disney acquisition took place and now the upcoming project will be the end instead. With that being said, Marvel fans are interested to see how Dark Phoenix will work out in theaters after being introduced to Sophie Turner as Jean Grey, Tye Sheridan as Cyclops, Alexandra Shipp as Storm, and Kodi Smit-McPhee as Nightcrawler in Apocalypse. Dark Phoenix is the story of one of the X-Men's most beloved characters, Jean Grey, as she evolves into the iconic version seen in the comics, which is shown in detail in the latest trailer. During a life-threatening rescue mission in space, Jean is hit by a cosmic force that transforms her into one of the most powerful mutants of all. Wrestling with this increasingly unstable power as well as her own personal demons, Jean spirals out of control, tearing the X-Men family apart and threatening to destroy the very fabric of our planet. The movie has been heralded as the most intense and emotional X-Men movie ever made and is the culmination of 20 years of X-Men movies, as the family of mutants that we've come to know and love must face their most devastating enemy yet: one of their own. Dark Phoenix stars James McAvoy, Michael Fassbender, Jennifer Lawrence, Nicholas Hoult, Sophie Turner, Tye Sheridan, Alexandra Shipp, Kodi Smit-McPhee, Evan Peters, and Jessica Chastain, and is scored by composer Hans Zimmer. While some fans are bummed to see the Fox X-Men franchise end so abruptly, there are many who are very excited to see what the franchise will look like in the hands of Marvel Studios boss Kevin Feige. However, Feige has revealed it will be a while before he starts introducing the characters into the Marvel Cinematic Universe. Speaking of the MCU, it's about to go through some radical changes too. Avengers: Endgame marks the end of Phase 3 and as the introduction to Phase 4, which will officially start with this summer's Spider-Man: Far From Home. The new phase of the MCU is going to introduce new characters while some of the older characters fade away, which will give room for the X-Men and others to get their spotlight under the MCU. So far, Dark Phoenix, which hits theaters on June 7th, isn't tracking to do so well when it opens. The movie is looking at an opening box office weekend of $40 million on the low end and $55 million on the high end, making it the lowest grossing movie in the X-Men franchise. It's important to note that these numbers could very much change in the future and the latest trailer goes a long way in hyping the movie up. You can watch the final Dark Phoenix trailer below, thanks to the 20th Century Fox YouTube channel.